2018 started up with great new music! Hello everybody! Welcome to our favorite new music out of what reached our desk during January, 2018. Below you will find tracks for every mood – from some Latin Jazz to accompany your quieter gatherings to some serious dancing tunes for those nights when the dance floor heats up. 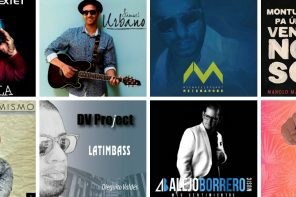 Listen to the clips, watch the videos, and if you have a few favorites, download them to support our fantastic Latin artists. Enjoy! “Andale! Pon a sonar el guiro” [Com’on! 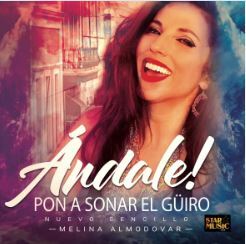 Make the guiro sing] is the latest single in the voice of Miami based singer Melina Almodovar. The happy tune was released just before the holidays, and it has the excitement and spirit that can be enjoyed at any party throughout the year. The song was written and produced by Victor Daniel, whose name may sound new but whose music you have danced to dozens of times. Daniel is the composer of Celia Cruz’s “La Vida es un Carnaval,” and of La India’s “Me Canse de Ser la Otra,” for example. You can listen and purchase “Andale!” on Apple Music HERE. 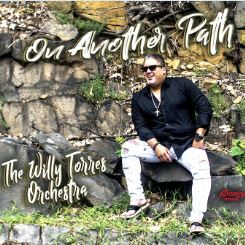 You may have first heard of Willy Torres when he was a singer for the Spanish Harlem Orchestra. However, did you know that he has been recording as a soloist since 2008? ON ANOTHER PATH is already his third album as such, created in New York and offering 14 tracks, both original work and covers. In it you will find several salsas, a few boleros, and a rumba. 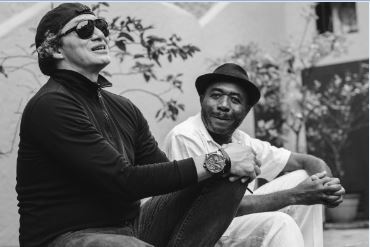 One of our favorite Salsas is “Los Soneros Nunca Mueren” [Soneros Never Die], which is full of rhythm and which also introduces us to Costa Rican singer (via Boston) Manolo Mairena. “Rumba para los Muertos” is a short rumba (under 3 min.) that pays homage to the many singers and musicians who have already left us. Listen and purchase this album on Amazon.com. The ART OF THE ARRANGEMENT was nominated in the Best Tropical Latin Album category for this year’s Grammys. 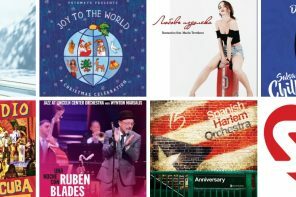 Ruben Blades Con Roberto Delgado y Orquesta won the category with the SALSA BIG BAND release, but that took nothing away from Beavers’ work. This album is outstanding. Listen to tracks 2, 3, 5, 6, and 11 and you’ll see why we’re having such a hard time picking a winner for the dance floor! It is available for purchase on Amazon.com. This song was released towards the end of 2017, but we’re listing it here because its lyrics-video recently reached 3 million visits. Since it’s hot, then let’s talk about it. “Corazon Con Candado” [Locked Heart] was written by Cuban composer Osmany Espinosa and recorded in collaboration with the Symphonic Orchestra of Santo Domingo. Locked Heart is a metaphor for a man who is tired of being used by a woman and therefore decides to “put a lock” on his heart. You may know Raulin already because he is a veteran bachata performer, but here’s some trivia for you: In 2016 Raulin became a politician, part of his district’s government (Santa Maria, in the Montecristi province of Dominican Republic) where he received more than 60% of the vote. So now you can see the video for “Corazon Con Candado,” and think about Raulin twice as seriously as you did before! So you spend a lifetime becoming a doctor, establishing a career, becoming respected… once you do that you’re set, right? Nope! Not according to Jolan (gastroenterologist) and Juan Pirala (general surgeon), who have accomplished all that and are now working in the passion of their hearts – music. Together they created Bitoqueao, a band that plays music that fuses folkloric Venezuelan sounds with pop, urban, and even flamenco. They are currently promoting the single “Pa’ Que Te Enamores” [So That You’ll Fall in Love], a song written by Venezuelan singer Enghel, but bitoqueada in the unique style of Bitoqueao. (“Bitoquear” (a trusted Venezuelan friend told us) means to come back home, looking splendidly successful, intending to conquer the heart of the person that one loves.) It’s a fun song, paired with a fun video, in which you see a young man doing all he can to make his girl smile and fall in love. We dig Bitoqueao. You can purchase the song on Amazon.com. Here’s another fun one. 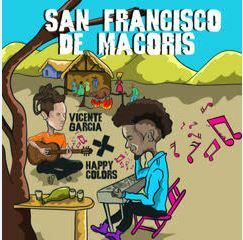 Vicente Garcia (we told you about him back in November when he won the Latin Grammy) got together with Dominican Hector Mendoza (known as Happy Colors) to develop this new song – “San Francisco de Macoris” – which is a mix of countryside Dominican rhythms with tinges of Urban. Happy Colors is recognized for his unique sound mixing merengue, bachata, electronic music, and his one-of-a-kind sense of humor. 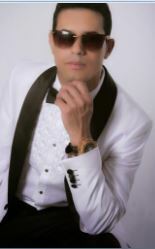 Garcia likewise is known for his fusions, and last year he was honored with the Best New Artist at the Latin Grammy. Along with the song, they released an animated video that presents the lyrics. The song is available for purchase on Amazon.com. Cuban musician Carlos Cano is a respected flautist and Spaniard Hernan Milla his equal on the piano. Together they have delivered gorgeous music since 2014. This time they offer POR LA RIVERA DE PAQUITO, which is, as its name reveals, a tribute to Cuban saxophonist and composer Paquito D’Rivera. 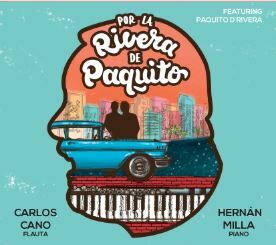 In this album Cano and Milla revisit original music written by Rivera, and songs from great ones like Dizzy Gillespie and Chucho Valdes that Rivera has re-worked over his extensive career. The result feels like a tour around the world with stops in Havana, Venezuela, Tunisia, Cape Cop, and Brussels. This is wonderful music that is meant to be listened to but that will provide you with a few escapades to the dance floor. Listen for example to “Invitacion al Danzon,” and see if you can keep from executing a danzon step or two. You can check out this album and purchase it on Amazon.com. 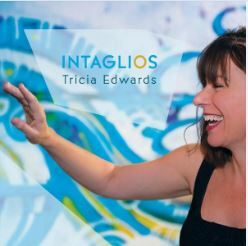 With Latin Jazz that was created in Canada by Tricia Edwards, INTAGLIOS has 10 tracks, 7 of which are her originals. She invited three Latin musicians who have been her mentors over the years (Cuban Raul Gomez Tabera, Colombian Hector Murillo, and Venezuelan saxophonist Luis “El Pana” Tovar) to be part of this effort. You will enjoy listening to “Bernie’s Tune,” a jazz standard composed by Bernie Miller that is here set to a cha-cha beat. “Mambo Influenciado,” one of Chucho Valdes’ great works, has a new arrangement by Edwards and is a treat to the ears. 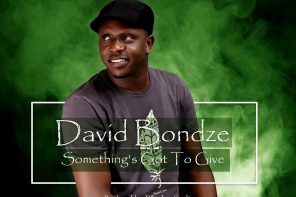 You can listen to the album and purchase on CDBaby.com. Papi Wilo’s latest single is “Mujer Interesada,” which, although not its literal translation, basically means Gold Digger, a woman who comes back to a man only if the moment is right. We think the video is great, showing a woman that not only wants to enjoy the spotlight but that has no problem going about it aggressively. The video was filmed in Santo Domingo, Dominican Republic. This song is part of Papi Wilo’s most recent album, entitled PERSIGUIENDO UN SUEÑO [Chasing a Dream], which you can listen and purchase on Amazon.com. 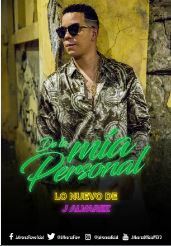 “De La Mia Personal” would translate into something like “Personal to Me,” a song that J. Alvarez uses to introduce his fans to his personal history – his neighborhood, his culture, the people in his life, and so forth. It was written by him and produced by “Montana The Producer” with the urban sounds that have become characteristic of Alvarez’s music. We really like the video for this song, which tells the story of two kids that were friends during infancy, later lose touch, but destiny brings them together again. It was recorded in the Dominican Republic at plenty of interesting locations. The song can be purchased on Amazon.com. That’s it folks! We figure this music should keep you busy until we come back with more at the end of February. We already know of at least two fantastic releases that will happen soon, and we can’t wait to share them with you. Our music is alive and well! Let’s keep on dancing!